﻿Regardless of industry - organizations looking for a professional image that extends from their marketing materials into to the boardroom and lobby - look to Adcolor for graphic solutions to fit their needs. After 25 years in business, our expertise and experience speaks to the quality of our deliverables from wayfinding signage and window graphics, to murals, wall art, banners and promotional materials. We are happy to work with your team to execute designs and we offer local, regional and national installation services. • Aesthetics. Custom décor and signage throughout your facility. • Expertise. Adcolor comes with 25 years of material experience- so your project with have the best fit process for the project. • Customer Experience. Certified non-skid materials for floor graphics and wayfinding improve customer experience. ﻿The entire Adcolor team is here to support your project from start to finish. From design assistance, fulfillment and material recommendations - we are here to make your graphics projects a success from start to finish. 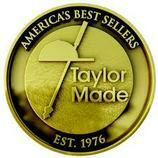 ﻿Taylor Made Farms is one of the most recognized names in the equine industry. We were honored that Taylor Made asked Adcolor to design and produce their display boards featuring their Grade 1 (G1) Winners. ​"We chose AdColor based on the recommendation of a friend. That was about 10 years ago and they continue to deliver outstanding work and remarkable service. Most recently, we needed a unique sign to showcase the success of our most famous racehorses. The signs they created blew us away. The three dimensional elements, complex layers, and various textures took printing to a whole new level, unlike anything we'd ever seen."